Rachael L. Rupp, 45 years, of Bryan, passed away Saturday, August 11, 2018 at Community Health Professionals Inpatient Hospice Center, Defiance after a fierce battle with cancer. Rachael was born March 29, 1973 in Fort Wayne, Indiana, the daughter of James and Roberta (Nye) Snivley. 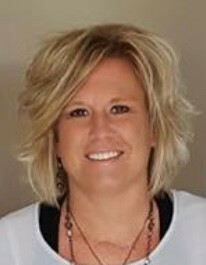 She was a 1991 graduate of Bryan High School, after which she attended International Business College in Fort Wayne. Rachael married Matthew Rupp on December 18, 1993 in Bryan. Rachael was employed for the past 26 years by the Williams County Job and Family Services as a Supervisor in the Child Support Division. She attended New Hope Community Church, Bryan. Rachael was a member of Beta Sigma Phi sorority as well as the Ohio Job and Family Services Directors Association. Rachael was a social butterfly, easily making friends wherever she went. She loved to be around friends and sharing in life experiences with them. She loved her job and lake life and all that included. She had a passion for spending time with her family, rooting on her kids in their sporting and academic endeavors. Surviving is her husband Matt of Bryan, two sons, Kyle and Clayton; parents, Jim and Roberta Snivley of Coldwater, Michigan; one brother, Ryan (Christine) Snivley and their two sons, Carter and Tyler of Powell, Ohio; grandmother, Lucille Myers of Defiance; father and mother-in-law, Neil (Annette) Rupp of Bryan; brother-in-law, Mark Rupp and his sons, Mason and Max of Delaware, Ohio; one uncle, Dennis (Kim) Nye of Bryan; one aunt, Lisa (Paul) Zeinart of Bryan. She was preceded in death by her grandparents, Richard and Patricia Snivley and Richard Myers; one niece, Ashleigh Hunt. Visitation for Rachael Rupp will be held Wednesday, August 15, 2018 from 2:00 – 8:00 p.m. in the Oberlin-Turnbull Funeral Home, 206 North Lynn Street, Bryan. A celebration of Rachael’s Life will take place at 11:00 a.m. Thursday, August 16, 2018 in New Hope Community Church, 203 Old Farm Trail, Bryan with Pastor Michael Elkins officiating. Interment will follow in Brown Cemetery, Bryan. Visitation will also be held one hour prior to the service on Thursday at the church. In lieu of flowers, those planning an expression of sympathy are asked to consider memorial contributions be made to Community Health Professionals Inpatient Hospice Center, 6825 State Route 66 North, Defiance, Ohio 43512 or to a Scholarship Fund for Kyle and Clayton C/O: Matt Rupp.